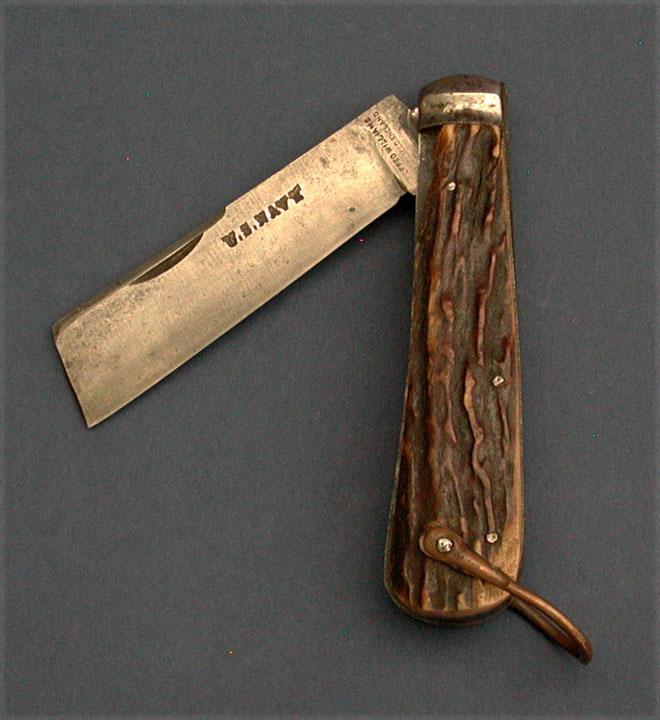 U. S. NAVY SAILOR'S FOLDING ROPE KNIFE. 4" long blade deeply stamped "U. S. NAVY". Also has the maker's mark "Alfred Williams/Sheffield England". Length open 8". Stag antler handles and a copper bail for lanyard attachment. Condition very nice with a full blade and excellent deep age color on slab handles. One small, triangular piece of antler missing from upper edge on one side. Spanish American War era.